Add a little sparkle to your child's next birthday party. 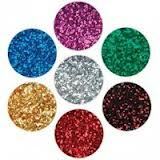 When you have one of the best glitter artists in MD at your next event the guests will line up so they can shine. This is one of the most unique ways to provide entertainment at your kid's birthday. For additional artistic fun, see these henna artists for hire in MD featured on KidsParties.Party. This new party website also features the premier kids party services in Maryland by city and county. If you are looking to brighten up your party or special occasions , then Jolie Faces in Maryland is the perfect place. You can get your services from Monday-Saturday from 8-11 pm and on Sunday from 12:30-11 pm. 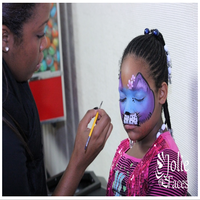 Jolie Faces offers professional face painting, glitter tattoos and balloon twisting for birthdays, festivals, family reunion etc. at a reasonable price in Maryland. Full face designs take 5-7 minutes to paint depending on the size where standard designs take 2-3 minutes on average. Glitter tattoos are the latest kids' kraze! They love the sparkle and can last up to seven days and parents love the fact they are easy to remove with baby oil. Within an hour, their professional glitter artists in MD can apply about fifteen to twenty tattoos (depending on the size and design selected). The cost of hiring one of their entertaining glitter artists is $165 a 60 minute session. Add some glitter to your next children's party - all the guests (young and old) will enjoy a bit of sparkle added to their life.